Jamie Butler is the Chief Technology Officer and Chief Scientist at Endgame, where he leads Endgame's research on advanced threats, vulnerabilities and attack patterns. He has directed research teams at some of the most prominent and successful security companies of the last decade. Most recently, Butler was Chief Architect at FireEye and Chief Researcher at Mandiant. A recognized leader in attack and detection techniques, he has over 17 years of experience and knowledge in operating system security. Butler was a computer scientist at the National Security Agency and co-authored the bestseller Rootkits: Subverting the Windows Kernel. Butler is also a frequent speaker at the foremost computer security conferences and serves as a Review Board member for Black Hat. He co-developed and instructs the popular security courses "Advanced Memory Forensics in Incident Response," "Advanced 2nd Generation Digital Weaponry," and "Offensive Aspects of Rootkit Technology." Dino Dai Zovi is the Co-Founder and CTO at Capsule8. Dino is also a regular speaker at information security conferences having presented his independent research at conferences around the world including DEF CON, Black Hat, and CanSecWest. He is a co-author of the books "The iOS Hacker's Handbook" (Wiley, 2012), "The Mac Hacker's Handbook" (Wiley, 2009) and "The Art of Software Security Testing" (Addison-Wesley, 2006). 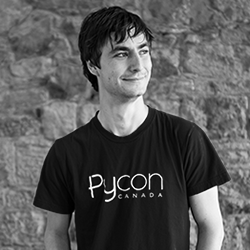 He is best known in the information security community for winning the first PWN2OWN contest at CanSecWest 2007. Matt Devost is a technologist, entrepreneur, and international security expert specializing in counterterrorism, critical infrastructure protection, intelligence, risk management and cybersecurity issues. Currently, Mr. Devost is President & CEO of FusionX, LLC, a cybersecurity consultancy that helps international corporations identify and manage dynamic threats in complex operational environments. Additionally, Mr. Devost has been an Adjunct Professor at Georgetown University since 2002 where he teaches a graduate course on Information Warfare and security, and is a Founding Director of the Cyberconflict Studies Association. Mr. Devost founded the Terrorism Research Center, Inc. (TRC) in 1996, where he served as President and CEO until November 2008. As founder and President, Mr. Devost oversaw all research, analysis, intelligence, assessment, and training programs. Previously, Mr. Devost held leadership positions at iSIGHT Partners, Technical Defense, Security Design International, iDEFENSE and SAIC. Mr. Devost has been a speaker at hundreds of international conferences and a contributor/author to several books on terrorism and information security. 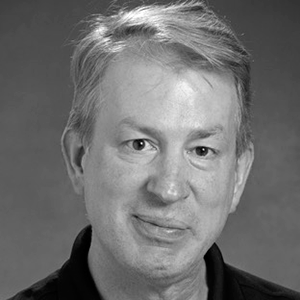 Mark Dowd is an expert in application security, specializing primarily in host and server based Operating Systems. He is currently the director of Azimuth Security, a botique security company he founded that specializes in code review and cutting edge security research. Prior to starting Azimuth, his professional experience includes several years as a senior researcher at a fortune 500 company, where he uncovered a variety of major vulnerabilities in ubiquitous Internet software. He also worked as a Principal Security Architect for McAfee, where he was responsible for internal code audits, secure programming classes, and undertaking new security initiatives. Mark has also co-authored a book on the subject of application security named "The Art of Software Security Assessment," and has spoken at several industry-recognized conferences. Trey Ford is the Head of Trust at Heroku, a division of Salesforce. Heroku's Trust organization is responsible for the service reliability engineering and information security of the platform. 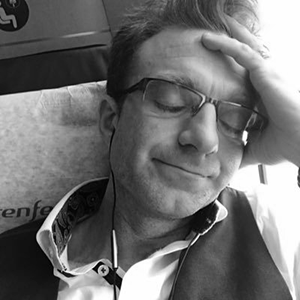 Over the last 15 years, Trey ran Black Hat events worldwide as General Manager, and provided services ranging from strategy, incident response, product management, PCI QSA and security engineering for a variety for industry leaders including Rapid7, Zynga, McAfee, FishNet Security and WhiteHat Security. 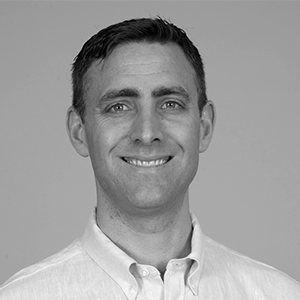 Nathan Hamiel is the Director of Research & Advisory Services at Kudelski Security, an international security company providing innovative and tailored solutions to enterprises and public-sector clients. Nathan works in the innovation group defining the future of services and products for the company. A security veteran with a strong focus on software security, he has spent his nearly 20-year career helping customers around the world solve complex security challenges. Robert Hansen became the CTO of Bit Discovery after his company OutsideIntel was acquired. Mr. Hansen has worked for Digital Island, Exodus Communications and Cable & Wireless beginning as a Sr. Security Architect and eventually leading managed security services product management. He also worked at eBay as a Sr. Global Product Manager of Trust and Safety, focusing on anti-phishing, anti-malware and anti-virus. Later he was the VP of Labs for Whitehat Security. Robert currently sits on the technical advisory board of and contributes to the security strategy of several startup companies as a virtual CISO and Innovation Officer. Mr. Hansen ran the web application security lab at ha.ckers.org, and authored/co-authored several books. Jeff Horne is currently the Senior Director of Information Security at SpaceX. Jeff is an accomplished security professional with over 16 years in reverse engineering, vulnerability assessment, antivirus engine creation, incident response, and malware research experience. Prior to SpaceX Jeff was the Vice President of R+D and Chief Architect with Accuvant LABS where he oversaw teams of researchers specializing in malicious code, incident response, breach analysis, and vulnerability assessment. Prior to Accuvant LABS, Jeff pursued a variety of roles in research and software engineering at other major security companies. Jeff worked as a Vulnerability Researcher at Internet Security Systems, where he was responsible for vulnerability discovery, exploit creation, IDS evasion research, and behavioral detection of malware. At Webroot Software, Jeff was the Director of Threat Research where he led several teams of malware researchers, reverse engineers, and a development organization specializing in creating anti malware functionality and signatures for all Webroot products. Jeff is well known for his insight in interviews for numerous news channels and publications, speaking roles at various security conferences, as well as authoring several vulnerability disclosures and patents. Vincenzo Iozzo is an entrepreneur and investor. He currently serves as a Director at CrowdStrike following the sale of his company Iperlane in 2017. Vincenzo is also a Network Leader at Village Global, a seed stage VC fund based in Silicon Valley. 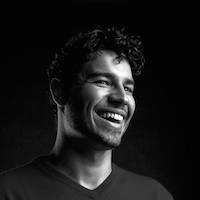 In addition, Vincenzo is an Associate Researcher at the MIT Media Lab and serves as a committee member on the Black Hat Conference board. Vincenzo co-authored the "iOS Hacker's Handbook" (Wiley, 2012) and the winning attacks against Firefox, iOS and Blackberry OS at Pwn2Own between 2010-2012. Ping Look has over a decade of experience building, promoting and managing events in the IT space including two of the most iconic and massively influential IT security events: The Black Hat Briefings + Trainings and DEF CON. At Black Hat she managed the growth of brand from obscurity to profitability and grew the event from a three track, two-day event to a six day, 11 track and training intense event that brought together the best and the most relevant (and occasionally the most obscure) speakers and content providers to Black Hat events in Asia, Europe, the Middle East and the US. During her tenure at Black Hat she was often referred to as the Ping of Death aka "The One You Don't Want to Piss Off (or you will die)". Ping is currently engaged as a program manager on the Detection and Reaction Team (DART) at Microsoft, Enterprise Cybersecurity Group. Shawn Moyer is a Founding Partner at Atredis Partners, a private security research and software security consultancy created with frequent BlackHat speakers Josh Thomas and Nathan Keltner, performing on-spec vulnerability research and reverse engineering as well as advanced penetration testing for clients all over the world. Shawn has been involved professionally in information security for 20 years, and unprofessionally for longer than he'd care to admit. Shawn's most recent work has focused on mobile and embedded security, as well as continued work with Smart Grid, SCADA, and other industrial technologies. 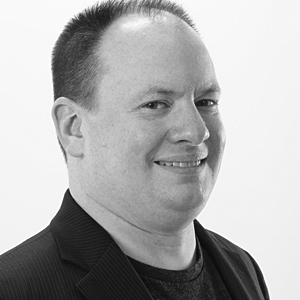 Previously, Shawn created the Applied Research at Accuvant Labs, helped launch the Penetration Testing practice at FishNet Security, and has written on emerging threats and other topics for Information Security Magazine and ZDNet. Shawn's research has been featured in the Washington Post, BusinessWeek, NPR, and the New York Times, as well as countless other industry publications. Shawn has been a ten-time speaker at the BlackHat Briefings, and has been an invited speaker at other notable security conferences in the US, China, Canada, and Japan. Shawn has been a member of the BlackHat Briefings Review Board since 2008. Kymberlee Price with over 13 years' experience in the information security industry specializing in application security incident response and investigations, Kymberlee Price now leads Microsoft's open source software security strategy. Ms. Price got her start by pioneering the first security researcher outreach program in the software industry at Microsoft in 2003. She was later a principal investigator in the Zotob criminal investigation and analyzed APT's at Microsoft. She then spent 4 years investigating product vulnerabilities in BlackBerry's Security Response Team specializing in open source library vulnerabilities, followed by three years directing the efforts of crowdsourced penetration testers at Bugcrowd. In 2017 she returned to Microsoft and her passion for application security and open source security management. 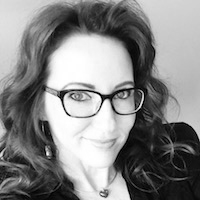 Kymberlee speaks regularly on vulnerability management and product incident response best practices at conferences around the world including Black Hat, Kaspersky Security Analyst Summit, RSA, Art Into Science: A Conference On Defense, and SIRAcon. She holds Bachelor of Science degrees in Behavioral Psychology and Public Health Education. Thomas Ptacek is a principal at Latacora, which runs security teams for startups. A software security practitioner since 1995, Thomas worked at Secure Networks, Network Associates, McAfee, and Arbor networks before cofounding Matasano Security, which is now part of NCC Group. 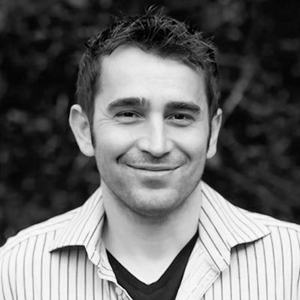 Billy Rios is the founder of Whitescope LLC, a startup focused on embedded device security. His interests include: web applications, browser, Industrial Control Systems (ICS), Critical Infrastructure (CI), and, medical devices. Billy has worked at Google where he provided security engineering support and led the front line response for externally reported security issues. Prior to Google, Billy was the Security Program Manager for Internet Explorer (Microsoft). Billy is also the 2008 Pwnie award winner for "Best Client Side Bug." Chris Rohlf is currently a staff security engineer at Square in New York City where he focuses on developing remote attestation and tamper detection technologies. He specializes in vulnerability discovery, exploitation, and reverse engineering. He has presented new research at Black Hat USA on multiple occasions and taught a popular training course on C/C++ source code analysis. Chris has over fourteen years of experience in various security roles including software engineer, researcher, consultant, and entrepreneur. Prior to Square he led the Red Team at Yahoo, founded Leaf Security Research, a boutique security consulting firm acquired by Yahoo; a Principal Security Consultant at Matasano Security; and previously worked as a Security Researcher for the US Department of Defense. 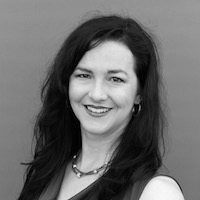 Jen Savage is a security researcher for Threatcare. 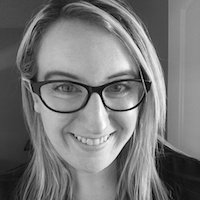 She has over a decade of experience in tech including penetration testing, vulnerability assessment, vulnerability management, software development, technical management, and consulting services for companies ranging from startups to the Fortune 100. Her primary research interests are in Web Application Security and the Internet of Things. Adam Shostack helped found the CVE, the Privacy Enhancing Technologies Symposium and the International Financial Cryptography Association. He has been a leader at a number of successful information security and privacy startups. He is the author of "Threat Modeling: Designing for Security" and the co-author of "The New School of Information Security." Shostack is currently a principal program manager on the Microsoft Trustworthy Computing Usable Security team, where among other accomplishments, he shipped the Microsoft Security Development Lifecycle (SDL) Threat Modeling Tool and the Elevation of Privilege threat modeling game as a member of the SDL team. Robert J. Stratton III is a serial entrepreneur, technologist, and researcher specializing in commercial development of early-stage security technologies, multinational network security, technology policy, and innovation management. Mr. Stratton is a General Partner in MACH37, a Virginia startup accelerator supporting new information security companies. Previously, he was Chief Strategy & Security Officer at WiTopia, and Director of Government Research at Symantec Research Labs. Before joining Symantec, he was co-founder and CTO at StackSafe, a startup focused on self-healing software and automated software assurance. Mr. Stratton was the first Director of Technology Assessment at In-Q-Tel, a private venture capital firm investing for the benefit of the U.S. Intelligence Community. Mr. Stratton also co-founded and served as Chief Technologist at Security Design International, a services firm specializing in multinational and critical infrastructure network security. Before founding SDI, Mr. Stratton established the Security Posture Assessment™ practice at WheelGroup Corporation and the security organization at UUNET, one of the first tier 1 Internet service providers. Yuji Ukai is the chief executive officer of FFRI, Inc, known as a technical opinion leader in Japanese security industry. After completing his Ph.D. in computer science at the National University of Tokushima, he began his employment at Kodak research and development center in Japan where he worked on research and development for digital device and embedded security. In 2003, he moved to United States and started working on development of vulnerability scanner product at eEye Digital Security as a Senior Software Engineer. He also worked for research of vulnerability analysis, vulnerability auditing, malware analysis, embedded system security, P2P network security, etc. as a Senior Research Engineer at eEye research group. In 2007, he moved back to Japan and became a co-founder of Fourteenforty Research Institute, Inc. Over the last several years, he discovered many critical security vulnerabilities affecting various software products as well as pioneered vulnerability analysis and exploitation of embedded system based on real time operating systems. 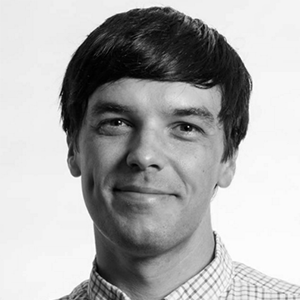 Alex Wheeler is the VP of Research and Chief Scientist at Exodus Intelligence. 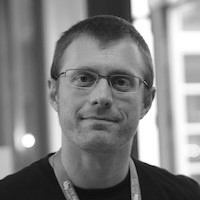 Wheeler is an noted expert in software reverse engineering, code auditing, exploit development, and evasion techniques. With over 15 years of applied security research, Alex's pedigree includes security product pioneers such as Internet Security Systems X-Force R&D and TippingPoint DVLabs. His skill is evidenced by world-wide industry recognition. Wheeler's public research received Pwnie awards for both "Best Server Side Bug" and "Best Client Side Bug." Neil R. Wyler (a.k.a. Grifter) is an Information Security Engineer and Researcher located in Salt Lake City, Utah. Neil is currently with RSA Security as a Threat Hunting and Incident Response Specialist. He has spent over 16 years as a security professional, focusing on vulnerability assessment, penetration testing, physical security, and incident response. He has been a staff member of the Black Hat Security Briefings for over 14 years and is a member of the Senior Staff at DEF CON where he is the Department Lead for Contests/Events/Villages/Parties and the Demo Labs. Neil has spoken at numerous security conferences worldwide, including Black Hat, DEF CON, and the RSA Conference. He has been the subject of various online, print, film, and television interviews, and has authored several books on information security. Neil is also a member of the DEF CON CFP Review Board and Black Hat Training Review Board. Follow him on Twitter at @Grifter801. Chris Wysopal, Veracode's CTO and Co-Founder, is responsible for the company's software security analysis capabilities. In 2008 he was named one of InfoWorld's Top 25 CTO's and one of the 100 most influential people in IT by eWeek. One of the original vulnerability researchers and a member of L0pht Heavy Industries, he has testified on Capitol Hill in the US on the subjects of government computer security and how vulnerabilities are discovered in software. He published his first advisory in 1996 on parameter tampering in Lotus Domino and has been trying to help people not repeat this type of mistake for 15 years. He is also the author of "The Art of Software Security Testing" published by Addison-Wesley. Stefano Zanero received a PhD in Computer Engineering from Politecnico di Milano, where he is currently an associate professor with the Dipartimento di Elettronica, Informazione e Bioingegneria. His research focuses on mobile malware, malware analysis, and systems security. Besides teaching "Computer Security" at Politecnico, he has an extensive speaking and training experience in Italy and abroad. He co-authored over 50 scientific papers and books. 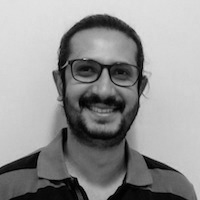 He is an associate editor for the "Journal in computer virology and hacking techniques". He's a Senior Member of the IEEE (covering volunteer positions at national and regional level), the IEEE Computer Society (for which he is a member of the Board of Governors), and a lifetime senior member of the ACM. Stefano co-founded the Italian chapter of ISSA (Information System Security Association), of which he is a senior member. He sits in the International Board of Directors of the same association. 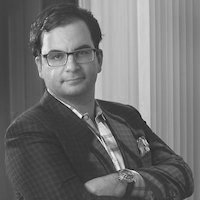 A long time op-ed writer for magazines (among which "Computer World"), Stefano is also a co-founder and chairman of Secure Network S.r.l., a leading Italian information security consulting firm, and a co-founder of 18Months, a cloud-based ticketing solutions provider. Chris Eagle is a Senior Lecturer of Computer Science at the Naval Postgraduate School (NPS) in Monterey, CA. A computer engineer/scientist for 28+ years, his research interests include computer network operations, forensics and reverse engineering. He has been a speaker at conferences such as Black Hat, Defcon, Infiltrate, and Shmoocon and is the author of "The IDA Pro Book", the definitive guide to IDA Pro. A former winner of the Defcon Capture the Flag Competition, he is currently working with DARPA to build their Cyber Grand Challenge competition. Jeremiah Grossman, Founder of WhiteHat Security. World-Renowned Professional Hacker. Brazilian Jiu-Jitsu Black Belt. Published Author. Influential Blogger. Off-Road Race Driver. Jeremiah Grossman's career spans nearly 20 years and has lived a literal lifetime in computer security to become one of the industry's biggest names. Mr. Grossman has received a number of industry awards, been publicly thanked by Microsoft, Mozilla, Google, Facebook, and many others for his security research and privately informing them of weaknesses in their systems. He has written hundreds of articles and white papers. Collectively, it's no surprise Jeremiah has been featured in the Wall Street Journal, Forbes, CNN, NY Times and hundreds of other media outlets around the world who regularly rely upon his expertise. 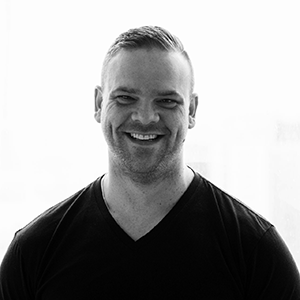 And an highly experienced industry veteran, Jeremiah has been a guest speaker on six continents at hundreds of events including TED, BlackHat Briefings, RSA, and many top universities. All of this was after Mr. Grossman served as information security officer at Yahoo! 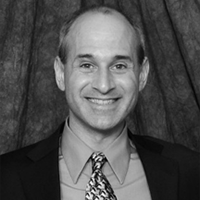 Mr. Grossman is also a co-founder of the Web Application Security Consortium (WASC), a previously named InfoWorld Top 25 CTO, and he serves on the advisory board of three hot start-ups, Risk I/O and SD Elements, and BugCrowd. Felix 'FX' Lindner is the founder as well as the technical and research lead of Recurity Labs GmbH, a high-end security consulting and research team, specializing in code analysis and design of secure systems and protocols. Well known within the computer security community, he has presented his research for over a decade at conferences worldwide. Felix holds a title as German State-Certified Technical Assistant for Informatics and Information Technology as well as Certified Information Systems Security Professional, is highly specialized in digital attack technologies, but recently changed the direction of his research to defense, since the later seems to be a lot less fun. In April 2011 Mr. Moss was appointed as the Chief Security Officer for the Internet Corporation for Assigned Names and Numbers (ICANN), a non-profit whose responsibilities include coordinating and ensuring the security, stability and resiliency of the Internet's unique global identifiers as well as maintaining the root zone of the Internet. This position involved managing the IT security of the ICANN networks and information systems, the physical security of ICANN facilities and meetings, and ensuring that ICANN meets its security and resiliency commitments to the multi stake holder community that oversees ICANN. This position involved extensive international travel and coordination with governments, law enforcement, and operational security communities in support of discussions around Internet Governance and security. Mr. Moss left this position at the end of 2013. Moss is the founder and creator of both the Black Hat Briefings and DEF CON, two of the most influential information security conferences in the world, attracting over ten thousand people from around the world to learn the latest in security technology from those researchers who create it. DEF CON just had its 21st anniversary. Prior to creating Black Hat Briefings, Jeff was a director at Secure Computing Corporation where he helped establish their Professional Services Department in the United States, Asia, and Australia. His primary work was security assessments of large multi-national corporations. Jeff has also worked for Ernst & Young, LLP in their Information System Security division. Because of this unique background Jeff is uniquely qualified with his ability to bridge the gap between the underground researcher community and law enforcement, between the worlds of pure research and the responsible application of disclosure. Jeff is currently a member of the U.S. Department of Homeland Security Advisory Council (HSAC), providing advice and recommendations to the Secretary of the Department of Homeland Security on matters related to homeland security. Jeff is a life member of the Council on Foreign Relations, which is an independent, nonpartisan membership organization, think tank, and publisher. In 2013, Jeff was appointed as a Nonresident Senior Fellow at the Atlantic Council, associated with the Cyber Statecraft Initiative, within the Brent Scowcroft Center on International Security. 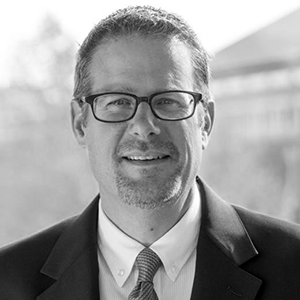 In 2014, Jeff joined the Georgetown University School of Law School Cybersecurity Advisory Committee. Jeff is active in the World Economic Forum, and recently became a member of the Cyber Security Global Agenda Council for 2014-2016. ICSA President's Award for Public Service, 2011. 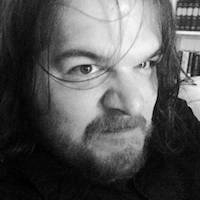 Alex Sotirov is an independent security researcher with more than ten years of experience with vulnerability research, reverse engineering and advanced exploitation techniques. He is well-known for his work on exploiting MD5 collisions to create a rogue Certificate Authority, bypassing the browser exploitation mitigations of Windows Vista and developing the Heap Feng Shui exploitation technique. His professional experience includes positions as a security researcher at Determina and VMware. Currently he is working as an independent security consultant in New York. 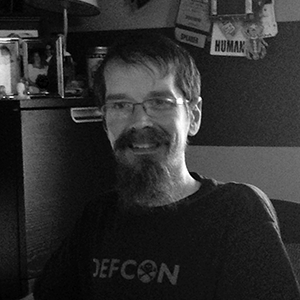 Alexander served as a program chair of the USENIX Workshop on Offensive Technologies and is one of the founders of the Pwnie Awards. 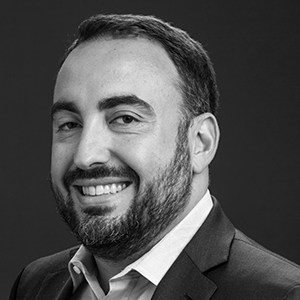 Alex Stamos is the Chief Security Officer at Facebook, where he leads a team of people around the world focused on ensuring the safety of the billions of people who use Facebook and its family of services. Before joining Facebook, Alex served as the CISO of Yahoo and is widely recognized for revitalizing Yahoo's security program with innovative technology and products. Prior to Yahoo, he was the co-founder of iSEC Partners and founder of Artemis Internet. Alex is a noted expert in global scale infrastructure, designing trustworthy systems, and mobile security. Alex holds a bachelor's degree in Electrical Engineering and Computer Science from the University of California, Berkeley. David Adrian is a PhD candidate at the University of Michigan, where bhis research centers around computer security and cryptography. He is advised by Professor J. Alex Halderman. David is also a co-founder and principal engineer at Censys. David uses measurement-based approaches to answer computer security research questions, correct security problems, and identify new vulnerabilities. He helped discover the Logjam and DROWN attacks on TLS. He also maintains open-source scanners including ZMap and ZGrab. 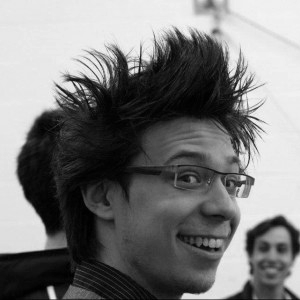 A long time ago, David interned at Google on the Chrome Security team, and at Duo Security. David has also lectured for the undergraduate computer security course at Michigan. Matt Blaze is a professor in the Computer and Information Science department at the University of Pennsylvania, where he studies computer security, cryptography, and public policy. Justine Bone is CEO of cyber-security company MedSec, a vulnerability research and security solutions company focused on medical devices and healthcare systems. Justine is a seasoned information technology and security executive with background in software security research, risk management, information security governance, and identity management. Her previous roles include Global Chief Information Security Officer at Dow Jones, a News Corporation company and publisher of the Wall Street Journal, Global Head of Information and Physical Security at Bloomberg L.P., CTO of Secured Worldwide, an NYC-based FinTech company, and CEO of security research firm Immunity Inc. Justine began her career as a vulnerability researcher with Internet Security Systems (now IBM) X-Force and New Zealand's Government Communications Security Bureau. She also has a background in the performing arts as an ex-dancer with the Royal New Zealand Ballet company. Rodrigo Rubira Branco (BSDaemon) works as Principal Security Researcher at Intel Corporation in the Security Center of Excellence where he leads the Core Client, BIOS and IoT SoC Teams. Rodrigo released dozens of vulnerabilities in many important software in the past. In 2011 he was honored as one of the top contributors of Adobe. He is a member of the RISE Security Group and is the organizer of Hackers to Hackers Conference (H2HC), the oldest security research conference in Latin America. He is an active contributor to open-source projects (like ebizzy, linux kernel, others). Accepted speaker in lots of security and open-source related events as Black Hat, Hack in The Box, XCon, OLS, Defcon, Hackito, Zero Nights, Troopers and many others. Ellen Cram Kowalczyk is a long time security practitioner with a specialization in human factor security including social engineering. She is currently focused on blue team activities for Microsoft Azure. Previously, she has held various roles in large organizations, including leading the AWS EC2 Security team at Amazon, and the AppSec, Usable Security/Fraud and Abuse teams at Microsoft. She most recently spent a year starting her own company focused on programmatic social engineering. She has spoken at many conferences including RSA and multiple B-Sides. Ellen lives in Seattle with her family and two ridiculous French Bulldogs. 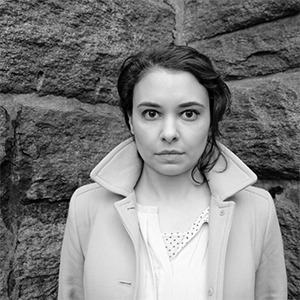 Katriel Cohn-Gordon is a PhD student in information security and applied cryptography at the University of Oxford. His research aims to formalise and prove the security of some of the protocols underlying today's Internet; recent work includes a formal analysis of the Signal messaging protocol used by WhatsApp and many others. He's also been seen writing fuzzers for WebRTC at Google's Stockholm office. He holds a master's degree in mathematics and computer science, and has reviewed papers for various top academic conferences. 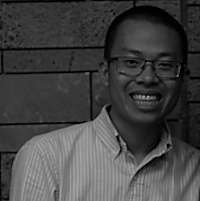 Bruce Dang is the cofounder of Veramine, Inc. focusing on endpoint security. Previously, he worked as a senior security development engineer lead at Microsoft where his team's focus spanned all things product-security related from hardware, OS, and web services. His experience primarily revolve around reverse engineering and systems security. Previous to Microsoft, he worked as a developer in the financial sector. He was the first person to publicly discuss techniques of analyzing file format based exploits and has patents in the area of generic shell code and exploit detection. His public research includes Office exploit analysis, ROP detection, shell code detection, and kernel driver decompilation techniques; on the malware side, he is known for first analyzing vulnerabilities in the Stuxnet worm. He has spoken at major security conferences worldwide, i.e., REcon, Blackhat, Chaos Computer Club, CARO, etc. In addition to sharing his knowledge at public conferences, he has also provided private training and lectures to government agencies. He is also the co-author of the best-selling reverse engineering textbook, Practical Reverse Engineering: x86, x64, Windows kernel, and obfuscation, published by John Wiley & Sons. Mika Devonshire runs SSIC's digital forensics laboratory and innovation center. 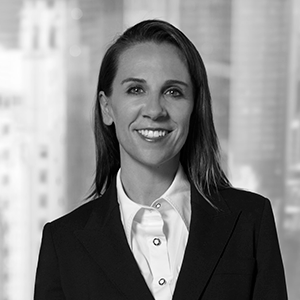 In addition to managing an active cybercrime case load, she looks to standardize attack artifacts and integrate the intelligence into their patented risk analytics algorithm. Over the past 6 years Mika has served as an offensive cyber systems engineer at BAE Systems; a security analyst at Silent Circle; and a technical product manager. Outside the office Mika teaches CTF skills as part of The HackerGround, and participates at various conferences. Mika earned her master's in digital forensics from The George Washington University, and her bachelor's degree from Princeton University. Bradley Duncan is a Threat Intelligence Analyst at Palo Alto Networks Unit 42. After 21 years of classified intelligence work for the US Air Force, he transitioned to cyber security in 2010. Brad specializes in network traffic analysis and exploit kit detection. He is also a handler for the Internet Storm Center (ISC) and has posted more than 80 diaries at isc.sans.edu. Brad routinely blogs technical details and analysis of infection traffic at www.malware-traffic-analysis.net. 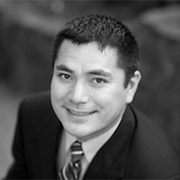 Chris Eng is Chief Research Officer at Veracode. A founding member of the Veracode team, he is responsible for all research initiatives including applied research, product security, developer research, and Veracode Labs. In addition to research, he consults with customers to advance their application security initiatives. Chris is a frequent speaker at industry conferences, including several Black Hat Briefings, and he serves on the program committee for the Kaspersky Security Analyst Summit. Bloomberg, Fox Business, CBS, and other prominent media outlets have featured Chris in their coverage. Previously, Chris was technical director at Symantec (formerly @stake) and an engineer at the National Security Agency. Eric Evenchick has worked in development and reverse engineering roles for hardware and software companies for the past eight years. He has specialized in embedded devices, automotive systems, and bespoke tool development. He is currently a Senior Research Consultant at Atredis Partners. Eric's work with embedded systems began with development of research vehicles at the University of Waterloo, in partnership with General Motors and the US Environmental Protection Agency. This experience lead to roles in developing automotive firmware and reverse engineering vehicle systems at companies including Tesla Motors and Faraday Future. In 2014, Eric founded Linklayer Labs, which provided consulting services and developed open source hardware tools for the information security community. Since 2012, he has been a contributor to Hackaday, a blog covering hardware and software "hacks." Valerie Anne Fenwick is a director in the Security Solutions Enabling division at Intel with over two decades of experience in computer security. She helped to design and develop the cryptographic framework for the Oracle Solaris operating system, and previously worked as a developer on the SunScreen Firewall. She the secretary for the OASIS PKCS#11 (Open Standards Based Crypto API) technical committee. Valerie has a B.S. in Computer Science from Purdue University. She is a co-author of the Solaris 10 Security Essentials book and writes a blog on bicycling, beer and security. In her spare time, she enjoys performing at community theaters, riding her bike, and skiing. 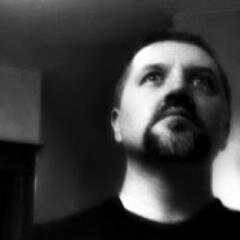 Joe FitzPatrick (@securelyfitz) is a Trainer and Researcher at SecuringHardware.com (@securinghw). Joe has spent over a decade working on low-level silicon debug, security validation, and penetration testing of CPUs, SoCs, and microcontrollers. He has spent the past 5 years developing and leading hardware security related training, instructing hundreds of security researchers, pen testers, and hardware validators worldwide. 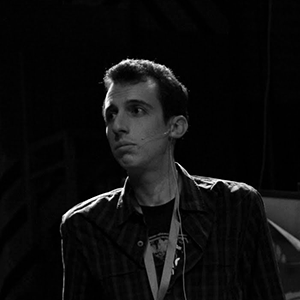 When not teaching Applied Physical Attacks training, Joe is busy developing new course content or working on contributions to the NSA Playset and other misdirected hardware projects, which he regularly presents at all sorts of fun conferences. Aanchal Gupta is Director of Security at Facebook. She leads a global team responsible for assessing and mitigating security risks across Facebook. Prior to joining Facebook, she was Chief Information Security Officer at Microsoft for Skype and Skype for Business. 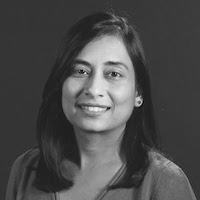 Before joining Microsoft, Aanchal led Yahoo's Global Identity team, contributing to various authentication and authorization open standards such as OpenID and OAuth. Aanchal serves on technical advisory boards for security startups, CloudKnox Security Inc. and ThreatWatch Inc and is an active speaker at key industry and digital innovation events. Follow her on Twitter and LinkedIn. Christopher Hadnagy is the founder and CEO of Social-Engineer, LLC. Chris possesses over 16 years experience as a practitioner and researcher in the security field. His efforts in training, education, and awareness have helped to expose social engineering as the top threat to the security of organizations today. 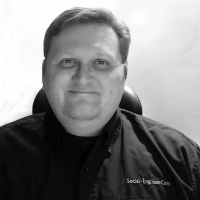 Chris established the world's first social engineering penetration testing framework at www.social- engineer.org, providing an invaluable repository of information for security professionals and enthusiasts. That site grew into a dynamic web resource including a podcast and newsletter, which have become staples in the security industry and are referenced by large organizations around the world. Chris also created the first hands-on social engineering training course and certification, Advanced Practical Social Engineering, attended by law enforcement, military, and private sector professionals. Chris is a certified Expert Level graduate of Dr. Paul Ekman's Micro Expressions courses, having made the study of non-verbal behaviors one of his specialties. In addition, he holds certifications as an Offensive Security Certified Professional (OSCP) and an Offensive Security Wireless Professional (OSWP). Alex Ionescu is the Vice President of EDR Strategy at CrowdStrike, Inc., where he started as its Chief Architect almost six years ago. Alex is a world-class security architect and consultant expert in low-level system software, kernel development, security training, and reverse engineering. He is coauthor of the last three editions of the Windows Internals series, along with Mark Russinovich and David Solomon. His work has led to the fixing of many critical kernel vulnerabilities, as well as over a few dozen non-security bugs. Bill Jaeger leads Lenovo's Data Center Group (DCG) Product Security Office and works with Lenovo's global product teams and industry partners to enhance and align the security of Lenovo's product offerings with enterprise customer needs. He is a founding member of Lenovo's Corporate and DCG Product Security Offices, and has been instrumental in driving product security strategy and security "firsts" at Lenovo. Bill was awarded Lenovo's top honor in recognition for his transformative achievements. Prior to joining Lenovo, Bill spent 20+ years solving complex security, operational, and technical challenges for commercial and government customers. Bill is an author, speaker, and inventor with security-related patents issued and pending. He is also a member of the Astronaut Scholarship Foundation's board of trustees. Jeff Jarmoc is a Senior Manager of Product Security at Salesforce, where he leads efforts to secure cloud-based products and protect customer data. Prior to joining Salesforce, Jeff was a Senior Application Security Consultant with Matasano Security, and NCC Group. He has also held positions at Secureworks, and on security teams within healthcare and financial organizations. Jeff has presented his research work at several security conferences, including: Black Hat USA & EU, DEF CON, 44Con, Derbycon, and Thotcon. Monnappa K A works with Cisco Systems as information security investigator focusing on threat intelligence, investigation of advanced cyber-attacks, researching on cyber espionage and targeted attacks. He is the creator of Limon Linux sandbox and winner of Volatility plugin contest 2016. He is the author of the upcoming book "Learning Malware Analysis". He is the co-founder of the cyber-security research community "Cysinfo". His fields of interest include malware analysis, reverse engineering, memory forensics and threat intelligence. He has presented at various security conferences like Black Hat, FIRST, SEC-T, DSCI, National Cyber Defence Summit and Cysinfo on various topics which include memory forensics, malware analysis, reverse engineering and rootkit analysis. He has conducted trainings at Black Hat, FIRST (Forum of Incident Response and Security teams), SEC-T, OPCDE cyber security conferences. He has also authored various articles in eForensics and Hakin9 magazines. 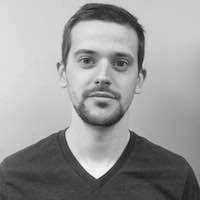 Zach Lanier is a Principal Research Consultant with Atredis Partners, specializing in various bits of network, application, mobile, and embedded security. 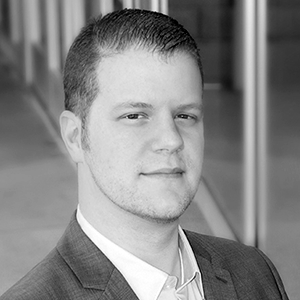 Prior to joining Atredis Partners, Zach most recently served as Director of Research with Cylance, and prior to that as Senior Research Scientist with Accuvant Labs. He has spoken at a variety of security conferences, such as Black Hat, DEF CON, CanSecWest, INFILTRATE, Countermeasure, and SummerCon, and is a co-author of the "Android Hackers' Handbook" (Wiley, 2014). Kelly Lum has "officially" worked in Information Security since 2003, and is currently a Senior Security Engineer at Tumblr where she brings her decades worth of application security experience in the financial and government sectors to the microblogging world. She regularly speaks about reverse engineering at various conferences, including Black Hat, SummerCon, and COUNTERMEASURE. Additionally, she teaches as an adjunct professor of Application Security at NYU. 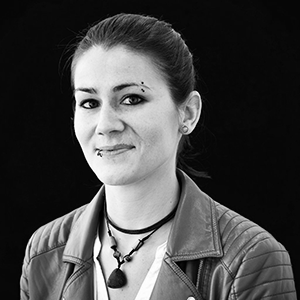 Maria Markstedter is an independent security researcher and trainer, focusing her research and work on ARM exploitation and reverse engineering of embedded systems. After spending some time as a Penetration Tester, she discovered her passion for processor security and reverse engineering and founded Azeria Labs to fill the gap in educational material on the exploitation of ARM-based devices by offering free hands-on tutorials and workshops. She regularly speaks at various security conferences, including HITBSecConf, Security Analyst Summit, and 44Con. In 2018, Maria was listed as one of the Forbes 30 Under 30 in the technology Europe division. 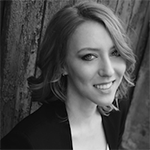 Marion Marschalek is an independent security researcher and trainer, focussing on threat analysis and reverse engineering. Marion started her career within the anti-virus industry and also worked on advanced threat protection systems where she built a thorough understanding of how threats and protection systems work and how both occasionally fail. Nowadays she spends her days seeking to cause trouble in APT research and threat intelligence sharing. Marion is a lecturer at University of Applied Sciences St. Pölten and frequently contributes to articles and papers. 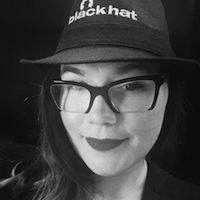 She is a frequent speaker at reknown industry conferences and has presented research at Blackhat, RSA, SyScan, hack.lu and Troopers, among others. In 2016 Marion was listed as one of Forbe's "30 under 30" in the technology Europe division. Once a year she runs a free and rather successful reverse engineering bootcamp for women, in changing locations. Allison Miller leads the engineering efforts for Bank of America's information security organization. With over 15 years of building teams and technology that protect people and platforms, Allison is known for her expertise in designing and implementing real-time risk prevention and detection systems running at internet-scale. Prior to her current role, Miller held technical and leadership roles in security, risk analytics, and payments/commerce at Google, Electronic Arts, Tagged/MeetMe, PayPal/eBay, and Visa International. Miller speaks internationally on security, fraud and risk, co-chaired of the O'Reilly Security Conference, is a Trustee for the Center for Cyber Safety and Education, has held board roles with ISC2, SIRA, and Keypoint Credit Union. Thomas Pornin is a Principal Security Consultant at NCC Group, specialized in cryptography. 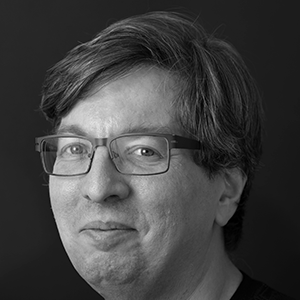 His research focuses on the design and implementation of cryptographic algorithms, with an emphasis on defense against timing-based side channel leaks; he is the author of BearSSL, an SSL/TLS library that embodies this approach and is optimized for constrained embedded systems. He is also an active participant to cryptographic competitions (AES, eSTREAM, SHA-3, PHC, and the ongoing Post-Quantum standardization process). Enno Rey is the founder and Managing Director of ERNW GmbH, where he and his crew focus on consulting and testing in all areas of IT security. 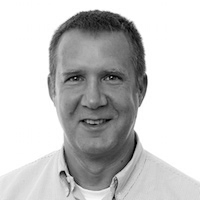 With 20+ years of experience in network security, Enno has also published books and white papers (in the recent years mainly on IPv6), with an ongoing interest in the ethical parameters of those in and around the IT Security world (meaning everyone). Enno's passion for sharing knowledge manifests every year when he hosts the IT Security Conference "TROOPERS" in Heidelberg, Germany. Raphaël Rigo is currently a senior security engineer and Red Team technical lead in the Airbus internal security evaluation team. A reverse engineer for more than 18 years, he also worked in vulnerability discovery, black-box security evaluations and incident response. His main interests are low-level and embedded security. He spoke at international conferences including Black Hat, SyScan, REcon, H2HC on various subjects such as Blue Coat proxies, encrypted HDD, or reverse engineering tools. He is part of the organizing and program committee of the French conference SSTIC. In the past, he did embedded security at Orange Labs, pentest on critical systems and incident response at the French National Cybersecurity Agency (ANSSI). Tom Ritter is a distinguished security engineer and recovering consultant now at Mozilla, working on anti-exploitation, Tor, and other new and evolving security features. Previously, he did all manner of security consulting at NCC Group and iSEC Partners, including managing the Cryptography Services practice and pioneering the production of fully-public audit reports. While consulting, Tom participated in numerous public audit reports including TrueCrypt and Tor Browser; presented talks and trainings at security conferences in Europe, North, and South America; and presented his research NPR, CNN, and other media outlets. He is actively involved in the advancement of secure messaging, IETF & W3C Standards Groups relating to secure protocols, public key infrastructures, metadata protection, and self-hosting data. 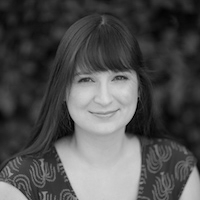 Natalie Silvanovich is a security researcher on Google Project Zero. Her current focus is on script engines, particularly understanding the subtleties of the scripting languages they implement and how they lead to vulnerabilities. She is a prolific finder of vulnerabilities in this area, reporting over a hundred vulnerabilities in Adobe Flash in the last year. Previously, she worked in mobile security on the Android Security Team at Google and as a team lead of the Security Research Group at BlackBerry, where her work included finding security issues in mobile software and improving the security of mobile platforms. Outside of work, Natalie enjoys applying her hacking and reverse engineering skills to unusual targets and has spoken at several conferences on the subject of Tamagotchi hacking. Ryan Smith is the Vice President of Research at Cylance, where he leads teams performing both internal and external research. He has spent the last decade leading such teams for consulting, product, and fortune 50 organizations. As an individual contributor, Ryan has discovered and exploited highly impactful vulnerabilities in widely deployed client and server software. His interests include reverse engineering, exploitation, vulnerability discovery, analysis algorithms, and magnets. He has spoken at international conferences and is a two-time Pwnie Award winner for best server and client bugs. Dr. Jason Staggs is a Cyber Security Research Engineer and Adjunct Assistant Professor of Computer Science at The University of Tulsa. Best known for his hacking of exotic industrial control systems, Jason's research interests run the gamut and include critical infrastructure protection, telecommunications, penetration testing, network security and digital forensics. Jason has spoken at national and international conferences, authored various peer-reviewed publications and lectured undergraduate and graduate level courses on a variety of cyber security topics. His expertise in digital forensics has enabled him to provide invaluable assistance to law enforcement agencies at the local, state and federal levels in order to solve high-profile cybercrimes. In his spare time, Jason enjoys reverse engineering proprietary network stacks in embedded devices and diving through ancient RFCs to demystify obscure network protocols. Jason attended graduate school at The University of Tulsa where he earned his MS and PhD degrees in Computer Science. Matt Suiche is the founder of the United Arab Emirates based cyber-security start-up Comae Technologies and cyber-security conference OPCDE. 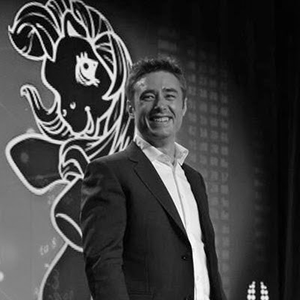 Prior to founding Comae, he was the co-founder & Chief Scientist of the application virtualization start-up CloudVolumes which was acquired by VMware in 2014. His also previous employers include the Netherlands Forensics Institute and Airbus. Matt is best known as the founder of MoonSols for his work in the memory forensics and computer security fields. His most notable research contributions include Windows hibernation file analysis and Mac OS X physical memory analysis. Since 2009 Matt was recognized as a Microsoft Most Valuable Professional in Enterprise Security for his work in discovering multiple security flaws in multiple Microsoft Windows kernel components. 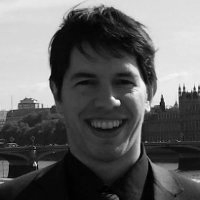 Matt has also been a frequent speaker at various computer security conferences such as Black Hat Briefings, Microsoft Blue Hat Hacker Conference, Hackito Ergo Sum, Europol High Tech Crime Experts Meeting, CanSecWest, PacSec, Hack In The Box, SyScan and Shakacon. Josh Thomas' specialties include advanced hardware and software reverse engineering, malware and rootkit development and discovery, and software development. Josh has extensive experience in developing secure solutions for mobile platforms and a deep understanding of cellular architecture. Josh currently holds a TS clearance, and has worked in many sensitive, cleared environments. Josh began his career 14 years ago in network administration and software development. Prior to moving his focus primarily to security, Josh wrote Artificial Intelligence and cryptographic solutions for the Department of Defense. Josh has extensive hands on knowledge of mobile devices and cellular infrastructure. He is also dedicated to hardware reverse engineering and embedded device exploitation. Josh most recently was a Senior Research Scientist with Accuvant's Applied Research team, and has worked as a Senior Research Developer at The MITRE Corporation. At MITRE, Josh performed analyses of the Android, Apple, Symbian and BlackBerry security models as well as other non-mobile embedded platforms and worked closely with the vendors and project sponsors. Josh also developed an open-source mesh networking solution for Smart phone communications that bypasses the need for physical infrastructure, performed advanced spectrum analysis for cleared communications, and designed a secure satellite communications system required to handle the most sensitive communications possible while also being resilient against the highest levels of waveform interference. Prior to his tenure at The MITRE Corporation, Josh developed Artificial Intelligence and embedded cryptographic solutions for General Dynamics and other organizations. Josh projects including the design and development of robust routing architecture for UAV/UGV autonomous vehicles, battlefield troop movement predictive scenario generation, and creation of mathematical models the controlled de-orbit and reentry of the Mir Space Station. Josh is the recipient of three DARPA Cyber Fast Track grants for advanced security research, and has presented at multiple security industry conferences, including BlackHat, DefCon, DerbyCon and ToorCon. Josh is the lead developer and maintainer of the open-source SPAN mesh networking project for Android, has published and reviewed papers for IEEE, and holds a pending patent related to NAND flash memory hiding techniques. Josh holds a Bachelor's in Computer Science from Texas A&M University, and has been a frequent presenter at national and international security industry conferences. Steve Weis is a software engineer on Facebook's Security Infrastructure team. Previously, Steve was co-founder & CTO of PrivateCore, a security startup acquired by Facebook in 2014. Before that, Steve was a member of the applied security group at Google where he built Google's 2-step verification. Steve received a PhD in cryptography from MIT in 2006. Kyle Wilhoit is an internationally recognized and award winning security researcher with more than a decade of experience helping research teams deliver timely and organized threat intelligence and research. 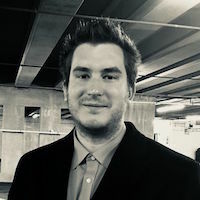 In his current role as a Principal Cyber Attack and Exploit Researcher on Palo Alto Network's Global Security Response Team, Kyle is responsible for the identification of actively exploited vulnerabilities and post-exploitation methodologies present in hack tools, attack frameworks, targeted attack campaigns, and public POC availability. Prior to Palo Alto Networks, Kyle was a Senior Security Researcher at DomainTools leading efforts to do research on DNS-related exploits and explore attack origins and threat actors. 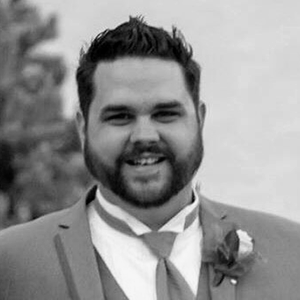 Before joining DomainTools, Kyle was also a Senior Threat Researcher for Trend Micro, where he was responsible for identifying, vetting, and exposing threat actors, performing research on criminal miscreants and leading forensic investigations into high profile security incidents. Prior to Trend Micro, Kyle spent more than a decade performing threat analysis and security research for Fireeye and additional organizations. Kyle has presented at cybersecurity conferences around the globe, notably FIRST, Black Hat USA, Blackhat Europe, SecTor, Hack in the Box, Derbycon, and Infosecurity Europe. Kyle has consulted several worldwide governmental bodies, including the International Atomic Energy Agency (IAEA). His research has supported investigative stories in several publications, including ABC, CNN, BBC, CNN, The New York Times, WIRED, MIT Technology, and many additional outlets. Additionally, Kyle served as a guest review board member for Blackhat US 2017. Kyle is a co-author on the book- Hacking Exposed Industrial Control Systems: ICS and SCADA Security Secrets & Solutions. Magen Wu is a Senior Associate at Urbane Security with 10 years of experience in the field and is pursuing her Master's degree in Industrial/Organizational Psychology. Her research aims to further clarify the ties between psychology and information security in order to help organizations and end users secure their private data. Recent work involves studying how the habit formation feedback loop can be used by practitioners to make changes easier for their users to adopt. 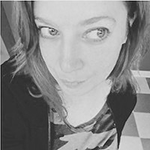 Magen currently lives in the Tampa Bay area with her husband and has spoken at many conferences including RSA, multiple BSides, DEF CON, and DerbyCon.